Starbucks says it will close its 8,000 company-owned stores in the United States for one afternoon to educate employees about racial bias. The racial bias training will be provided on May 29 to about 175,000 workers. "I've spent the last few days in Philadelphia with my leadership team listening to the community, learning what we did wrong and the steps we need to take to fix it," Starbucks CEO Kevin Johnson said in a statement. "While this is not limited to Starbucks, we're committed to being a part of the solution," he said. "Closing our stores for racial bias training is just one step in a journey that requires dedication from every level of our company and partnerships in our local communities. "Starbucks says the training will be developed with guidance from experts including former Attorney General Eric Holder. Johnson met with the two men on Monday and apologized for how they were treated, a company spokesperson said. The company says the manager who called the police is no longer working at that store. Starbucks would not comment on other reports that she has left the company by mutual agreement. 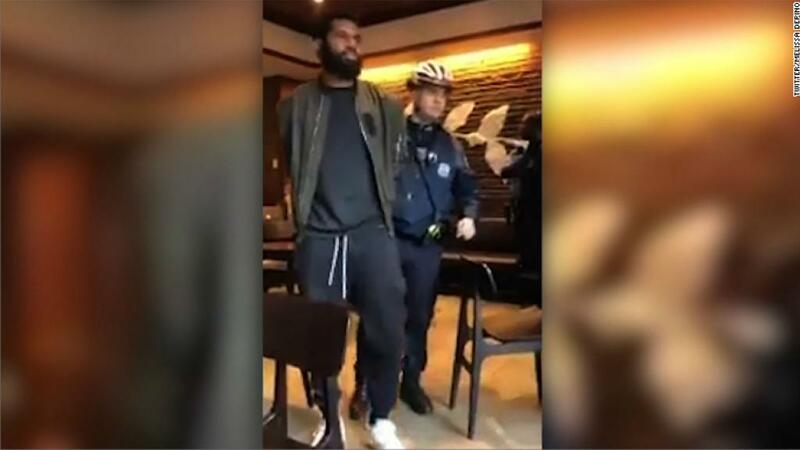 Separately, a Facebook video taken in January at a Starbucks in California shows a black customer saying that he was not allowed to use the bathroom when a white customer was.